Converge! Digest: Every study points to an aggressive growth in mobile video traffic over the next few years. How will the network evolve to address this challenge? 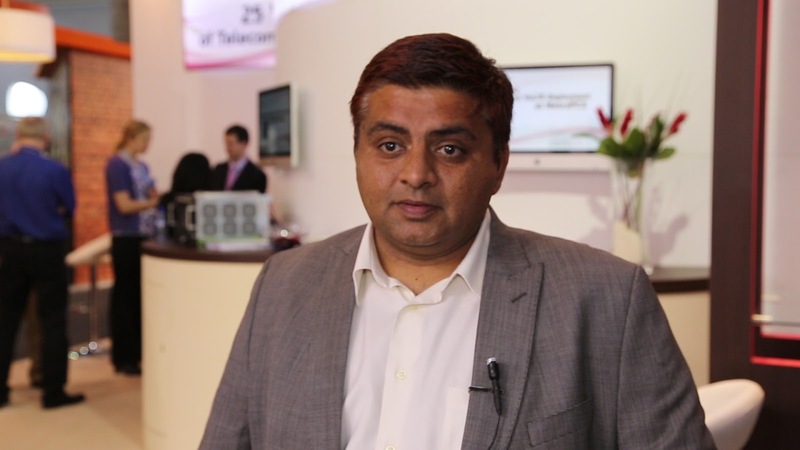 Manish Singh: Yes, if you look at the fastest growing segment of the mobile networks, it is video. One of the challenges operators face is that traffic is not necessarily monetizable. So what Radisys is doing is really enabling operators to take all of this video and find ways to increase ARPU. We're trying to bring new services to market that will enable operators to start monetizing video, especially real-time video. For example, video conferencing is a great solution that operators can offer as a premium service to enterprises. Other examples are video ringback tones or video mail -- these are interesting services that can be customized by the consumer and have great appeal, at least in certain geographies, while being monetizable. Think of advanced business services. Today you may call an airline and reach their interactive voice response system. We believe that tomorrow, with all the smartphones and network infrastructure in place, the airline should be able to provide an interactive voice and interactive video response system that correctly communicates with the consumer. So services like these, where video truly enables a better real-time communications experience, are going to be hot. I believe there is a lot of potential for operators to monetize this traffic, drive ARPU up, and deliver a better experience to the consumer. Converge! Digest: One of the big challenges that operators face is how to scale their networks for millions or even tens of million of LTE users. What technologies do you see having a big impact here? Manish Singh: When it comes to network scalability, different dimensions come into play. In the control plane layer, for example, workloads like MMEs or HLRs or PCRF, lend themselves very well for virtualization as well as scalability through cloud computing architectures. So what we need is the right platform for virtualized payloads to scale up. These could also provide workload consolidation to free up resources for other applications. Converge! Digest: How do you expect the core network of mobile operators to evolve over the next 5 years? Manish Singh: Looking 5 years out, what I see is that a lot of the control plane infrastructure and a lot of the service plane infrastructure in the operator's core and IMS is going to get virtualized and will really be enabled by cloud-like technologies. The underlying platforms need to be telecom-grade so that the operators are not making any tradeoffs of five-nines versus cloud. This means bringing a five-nine's carrier-grade cloud platform. In the data plane layer I also see a lot of gateways and policy enforcement platforms will have edge routing capacities built in. A lot of load balacing capabilities will also be brought into these gateways and they will be further enabled by SDN. So that's what I see five years ahead. Converge! Digest: A lot of people say software is the future of networking. What does it take to be a key player in this area? Manish Singh: The future of networking is definitely going to be enabled by software but at the same time carriers will still need the underlying hardware to make it functional and secure. From a Radisys perspective, to really get to software enabled networks, we known that we must supply hardware solutions for edge routing, load balancing, compact gateways, etc. We also must deliver the software required for an integrated solution while enabling our customers to be able to create a differentiated product. Converge! 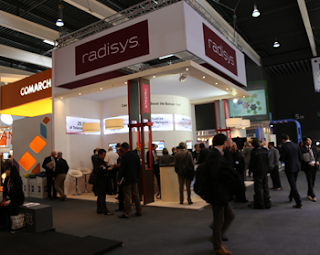 Digest: Radisys has talked about an end-to-end vision for network evolution. How are the pieces of this solution coming together? Manish Singh: We do believe that operators need to maximize spectrum utilization in the RAN in order to effectively deal with the tsunami. To do that, small cells are essential. We have developed a complete software solution for small cells. We did that for 3G and are doing so again for LTE small cell solutions. In fact, we recently announced the world's first small cell deployment at scale by network operator in South Korea. This was enabled by our software and we are very pleased with the progress here. Our partners now have over 30 active small cell trials underway with major operators around the world. In addition, we are moving the ball ahead with small cell solutions for LTE-Advanced -- we've had a world-first demonstration at Mobile World Congress in Barcelona showing LTE-Advanced with carrier aggregation in a small cell. So that's what we are doing in the RAN. Further down in the packet core, we have an undisputed leadership position with our ATCA platforms. These are enabling a wide range of network functions in both the control plane and the data plane. We've added deep packet inspection (DPI) capabilities in these platforms to deliver policy enforcement capabilities. As we look forward, we see a lot of interest building up in network virtualization and software defined networking (SDN) technologies. Given our strong track record in the telecommunications field, Radisys is going to bring the right solutions forward for network virtualization functions at the control layer as well as SDN capabilities in the data plane. Moving further on into the network's IMS domain, we also believe that wnetwork operators need to focus on traffic monetization capabilities that increase ARPU. With our IMS media resource function, we are enabling operators to start monetizing voice over LTE (VoLTE). As a proof point, Radisys enabled the world's first VoLTE commercial rollout at MetroPCS. This will be followed with a range of premium services, such as video conferencing, video mail, video ring back tones, interactive voice and video response system for better customer support... so a whole range of opportunites for mobile operators to monetize new traffic. Converge! Digest: LTE rollouts are now underway by at least 145 operators worldwide, but already we see the next wave of LTE-Advanced moving through the standards committees. Is this next wave of standards upgrades any different from what we've seen before? Manish Singh: We know that standards are always a moving target for equipment vendors and network operators. There are many waves of technologies that come in to enable these new services or to bring new efficiencies to the infrastructure. For example, we are now seeing a lot of development in LTE-Advanced going on in the 3GPP working groups. We are constantly releasing updates to keep pace. Capabilities such as carrier aggregation are becoming very important for LTE-Advanced, so we are bringing this to market. Another hot area of interest is ETSI's work in network function virtualization. Radisy is actively working on that with operators and equipment ecosystem partners to really help shape how the power of the cloud and SDN can deliver a more optimized network. This could significantly improve network efficiency. 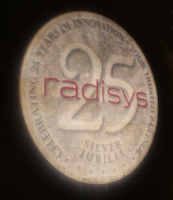 With our 25-year track record of innovating in the telecom space, Radisys is well positioned to drive this next wave forward. Radisys (NASDAQ: RSYS) is a market leader enabling wireless infrastructure solutions for telecom, aerospace and defense applications. Radisys’ market-leading ATCA, MRF (Media Resource Function)and COM Express platforms coupled with world-renowned Trillium software, services and market expertise enable customers to bring high-value products and services to market faster with lower investment and risk. Radisys solutions are used in a wide variety of 3G & 4G / LTE mobile network applications including: Radio Access Networks (RAN) solutions from femtocells to picocells and macrocells, wireless core network applications, Deep Packet Inspection (DPI) and policy management; conferencing and media services including voice, video and data, as well as customized mobile network applications that support the aerospace and defense markets. Manish joined Radisys in 2011 with the acquisition of Continuous Computing. Prior to Radisys, Manish was the Vice President of Product Line Management at Continuous Computing. Before Continuous Computing, Manish held various engineering management and architect positions at Intel Corporation, Trillium Digital Systems, and C-DOT (Center for Development of Telematics). Manish has an M.S. degree in computer science from India Institute of Science, Bangalore and a B.S. degree in electronics and telecommunication from Shri G.S. Institute of Technology & Science, Indore and sits on the Femto Forum board of directors. The U.S. wireless providers increased their annual network investments from $25.3 billion in 2011 to $30.1 billion in 2012 (up 19 percent), according to CTIA-The Wireless Association's semi-annual survey. 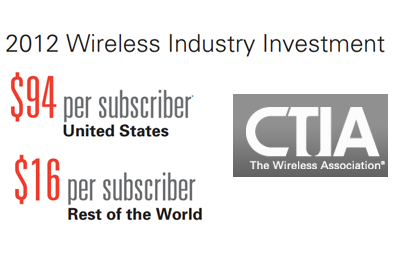 CTIA represents the U.S. wireless communications industry. The investments represent approximately 25% of the world's total wireless capital expenditures fo 2012 , even though the U.S. has only five percent of the world's wireless users. "The wireless industry invested billions of dollars to improve their networks and their customers' coverage in 2012, fueling the 'virtuous cycle' of innovation. New devices, apps and content were developed so consumers could take advantage of the faster network speeds and capabilities. That's why the U.S. leads the world in wireless innovation and competition," said Steve Largent, President and CEO, CTIA. " Wireless subscriber connections: 326.4 million (102 percent penetration); 2011: 315.9 million (3.3 percent increase). Total prepaid / pay-as-you-go subscribers: 76.4 million (23.4 percent of subscribers); 2011: 71.7 million (6.6 percent increase). Wireless network data traffic: 1.468 trillion megabytes; 2011: 866.8 billion (69.3 percent increase). Active smartphones and wireless-enabled PDAs: 152.1 million; 2011: 111.5 million (36.4 percent increase). Wireless-enabled tablets, laptops and modems: 22.3 million; 2011: 20.2 million (10.2 percent increase). Minutes of Use (MOU): 2.2999 trillion; 2011: 2.2955 trillion (4.4 billion minute increase or .2 percent). SMS sent and received: 2.19 trillion; 2011: 2.3 trillion (4.9 percent decrease). MMS sent and received: 74.5 billion; 2011: 52.8 billion (41 percent increase). Taiwan-based Chunghwa Telecom reported Q1 2013 net revenue of NT$56.63 billion (US$1.92 billio), up 2.1% compared to last year. This total was comprised of 49.3% mobile, 10.6% internet, 31.9% domestic fixed, 6.7% international fixed, and the remainder was from other businesses. As of March 31st, the number of FTTx subscribers reached 2.79 million, accounting for 61.2% of total broadband users. Moreover, the number of subscribers signing up for 50Mbps and higher speed connections increased by 81.9%, reaching 964,000. Broadband access revenue, including ADSL and Fiber connections (FTTx), increased by 2.0% to NT$4.83 billion, demonstrating continued success in migrating subscribers to higher speed fiber services. Total revenue for the mobile business increased to NT$27.90 billion for the first quarter 2013, representing 9.1% growth. The increase was primarily due to growth in mobile VAS revenue and handset sales from smartphone promotions. This increase offset a decline in mobile voice revenue due to promotional packages and the National Communication Committee mandated tariff reductions. Chunghwa's internet business revenue decreased by 2.7% to NT$6.02 billion in the first quarter of 2013. The decrease was primarily attributable to lower ICT project revenue which offset the increase in HiNet ISP revenue and internet VAS revenue. Domestic fixed revenue totaled NT$18.05 billion, representing a 5.9% decrease. Local service revenue decreased by 7.6% mainly due to mobile and VoIP substitution. Moreover, the 15.2% revenue decline in the DLD business was primarily due to tariff reduction which began in January 2012 and was reflected one month later in the February 2012 financials, resulting in a higher year over year comparison basis. International fixed revenue increased by 4.8% to NT$3.82 billion, mainly due to higher international long distance service and leased line revenue. Total CAPEX for the first quarter of 2013 increased by 12.6% to NT$7.53 billion. Total capex was comprised of: 54.6% domestic fixed communications, 26.3% mobile, 15.7% internet, 1.9% international fixed communications, and the remainder was for other uses. Sprint confirmed that June 29, 2013 will be the last full day of service for its Nextel iDEN network. Sprint said it will shut down iDEN switch locations in rapid succession on June 30, followed by powering down equipment and eliminating backhaul at each cell site. The transition of Sprint’s push-to-talk service from iDEN to CDMA is part of the company’s Network Vision plans. Customer migration initiatives have been underway for the past 11 months. 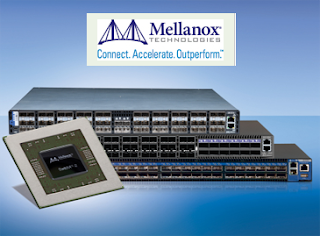 Mellanox Technologies is planning to showcase its new Open Ethernet platforms at next week's Interop in Las Vegas. The Open Ethernet demonstration will include Quagga L3 open source stack running on top of Mellanox’s SwitchX based 10/40/56GbE switch systems. Mellanox describes its Open Ethernet initiative as an alternative approach to traditional closed-code Ethernet switches, providing customers with full flexibility and freedom to custom-design their data center in order to optimize utilization, efficiency and overall return-on-investment. "Our demonstration with Quagga highlights the power of Open Ethernet to provide the capability to fully customize open source software packages on top of Mellanox 40 and 56GbE switches, enabling our customers to add differentiation and competitive advantages in their networking infrastructure while reducing cost," said Gilad Shainer, vice president of marketing at Mellanox Technologies. 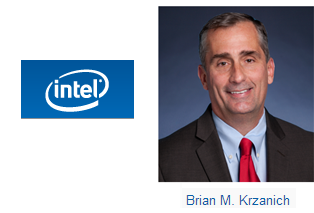 Intel's board of directors named Brian Krzanich as its next chief executive officer (CEO), succeeding Paul Otellini who steps down later this month. Krzanich has served as Intel's chief operating officer since January 2012 and has been with the company since 1982. The board of directors also named Renée James to be president of Intel. She has served as chairman of Intel's software subsidiaries -- Havok, McAfee and Wind River -- and also currently serves on the board of directors of Vodafone Group and VMware. Previously, she was chief of staff for former Intel CEO Andy Grove. Mexico will undertake a structural reform of its telecom sector after its Congress voted almost overwhelming to create a new regulatory autonomous body with the power to revoke licenses of monopolies. Carlos Slim's America Movil holds an estimated 80% of the wireline sector and 70% of the wireless sector. 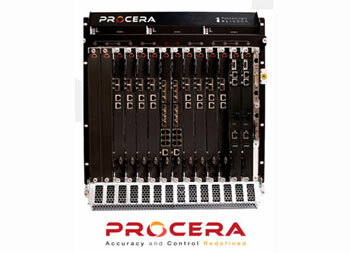 Procera Networks confirmed a a multi-million dollar follow-on order from a Tier 1 European network operator for multiple PacketLogic PL20000 systems. The equipment will be used to expand the existing deployment and provide more capacity and functionality for the operator. The PL20000 platform supports up to 320Gbps and up to 5 Tbps per cluster of Intelligent Policy Enforcement (IPE) providing scalability for up to ten million subscribers and 120 million active flows in a single chassis. The platform enables network operators to grow their IPE deployments in a modular fashion, simply by adding modules to the existing system, without requiring additional overhead from cluster deployment, which add network complexity and operational challenges. "Network operators in EMEA continue to adopt the PL20000 as the platform of choice for large broadband deployments," said Paul Gracie, senior vice president Global Sales and Services at Procera. "Network operators are purchasing solutions that can handle their traffic growth for the next three to five years, and we believe Procera delivers the most scalable Intelligence Policy Enforcement solutions available on the market." FeedHenry, a start-up based in Ireland with offices in Boston, raised US$9 million for its cloud- based mobile enterprise application solutions. FeedHenry's mobile application development platform enables development of native, hybrid and HTML5 apps that securely connect to multiple backend systems and supports deployment of server-side code to private, public or hybrid cloud environments. The company said its solution offers IT departments the ability to create, control, measure, adapt and future-proof their mobile business strategies. The new funding round was led by Intel Capital and includes a seven figure investment from existing investor Kernel Capital. Other existing investors VMware Inc., Enterprise Ireland and private investors also participated and were joined by new investment from ACT Venture Capital.